Silver Star Carousel Stage is one of the more unique stages found at the park. 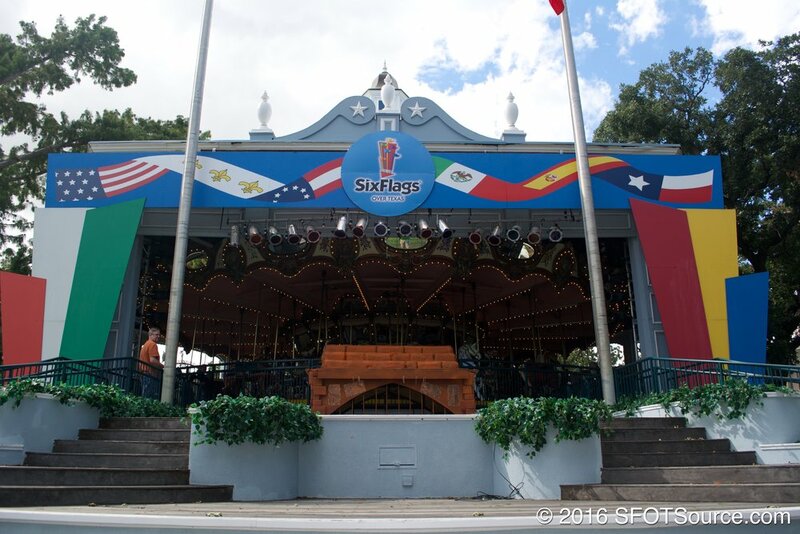 Located at front gate, the stage has the Silver Star Carousel as its backdrop. Live bands use this stage for performances throughout the season. For several seasons Six Flags Over Texas produced night-ending shows such as Celebrate Texas during the summer and Dr. Fright’s Final Freak Out during Fright Fest. A Jolly Holiday can still be seen closing out evenings during Holiday in the Park.